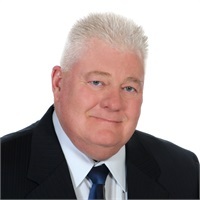 Joe Allbright has been providing clients with valuable guidance and financial solutions for over 40 years. His mission is to help you avoid losing money in the Wall Street Casino, and instead to build your wealth safely and securely. As a retirement income specialist, Joe helps clients by providing financial strategies to grow their wealth while defending against taxes, market shifts, and unexpected events. For over four decades Joe owned a property and casualty agency in Odessa and was sold in 2017. Fortunately, thanks to a hard working and competent staff he has been able to concentrate on and serve the financial needs of his clientele for the last 20 plus years. Retirement income planning became his passion and Joe founded - Retirement Advisory Services of West Texas. Eventually the name was shortened to Retire West Texas. A Circle of Wealth Master Mentor, Joe is a career long member of NAIFA (National Association of Insurance and Financial Advisors) and director with MOBEC (Midland Odessa Business and Estate Council). Actively involved in his community, Joe has been member of Odessa Chuck Wagon Gang since 1992, and a past member of Odessa Rotary Club, Toastmasters, and the Odessa JC's. A native West Texan, Joe played football and graduated from Baylor University with a BA in Marketing and Finance. He and his wife, Vicki, live in Odessa and have three grown children, numerous grandchildren, and two wacky pugs. In his free time, he looks forward to golfing, fishing, traveling and spending time with his family. Cyndi Smith has been in the insurance industry since 1991. Cyndi served for 26 years as Joe Allbright’s personal lines specialist while he was with Farmers Insurance. 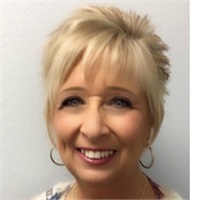 Cyndi remains with Joe Allbright/Retire West Texas as his Financial Administrative Assistant. She is licensed in property, casualty, life and health. She earned her CISR (Certified Insurance Service Representative) designation in 2004 and became a member of Odessa Insurance Women of Texas. Cyndi also was a member of The Federation of Insurance Women of Texas where she served as Mid Year Conference Liaison in 2007. Machele Keesee has been in the insurance industry since 1991 and has over 27 years experience. During that time she worked for two major Independent Insurance Agencies before joining Joe Allbright in 1998 as the Commercial Insurance specialist and continues to be part of our organization. She serves the business insurance needs of our clients. 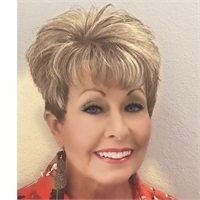 She has earned her CISR (Certified Insurance Service Rep) designation and was a member of Odessa Insurance Women of Texas where she served on the board in several capacities. Machele also joined the Federation of Insurnace women of Texas ans served as the Region III Director from 2004 through 2008.